Planning a rehearsal dinner? Is your graduation coming up? Maybe you're in an organization and want to hold a private meeting over breakfast, lunch, or dinner. In any event, the Arcade is your premiere choice for your next party event! The Arcade hosts several parties each month, so be sure to book one today! The Arcade Restaurant is the perfect location to host your next cocktail meeting, reception, or special event! We have bars available and can host casual, formal, and everything in between! We also offer a wide array of both food and beverage options for your next event, outside of the regularly offered menu. Contact the restaurant today at (901) 526 - 5757 and speak with a manager or proceed to book your party today and let us know what foods, beverages, and other needs you desire! 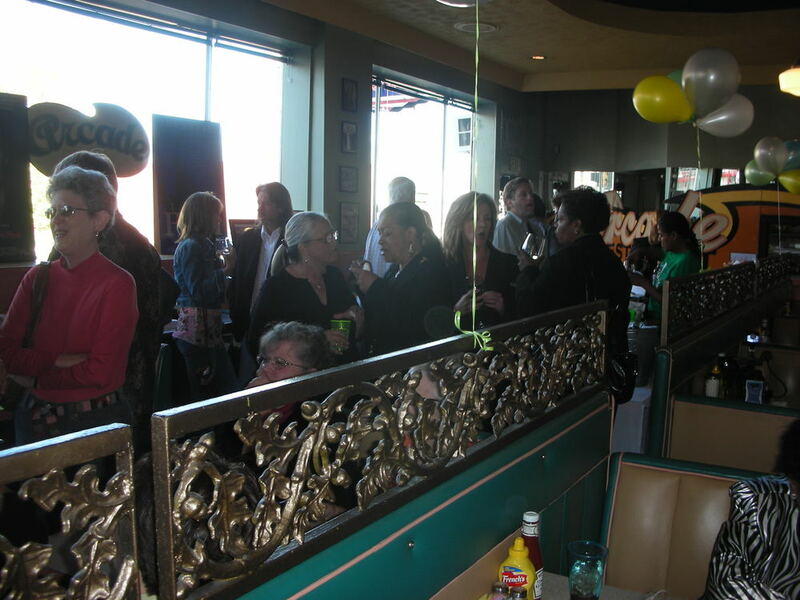 The Arcade Restaurant hosts a wide range of parties and groups ranging from graduation parties, baby showers, police and military initiation, departing events, Bar Mitzvahs, filming events, cast and crew parties, and much, much more! Out of state and want to have a party in Memphis? Not a problem! The Arcade has hosted several parties in the past for people and groups from all over the country! Whether you want to party Memphis style or just get together and have some fun, you'll be able to find your place at the Arcade!